St. Cuby's Well, near Duloe Stone Circle, was the first sacred well encountered by Matt Clark, when dreaming up Barrow Hill. 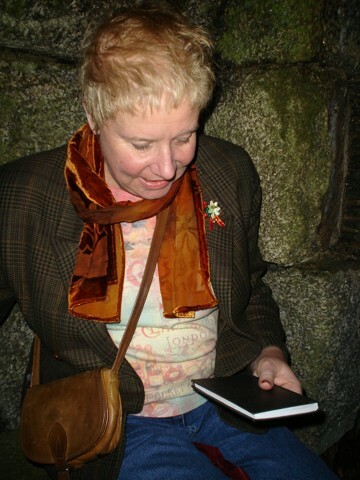 At the time of writing, you can climb into the well, sit on the stone seat and browse through the visitors book (kept dry in a golden biscuit tin). This exact scene was replicated, in Barrow Hill, to be the interior of St.Anneka's well. 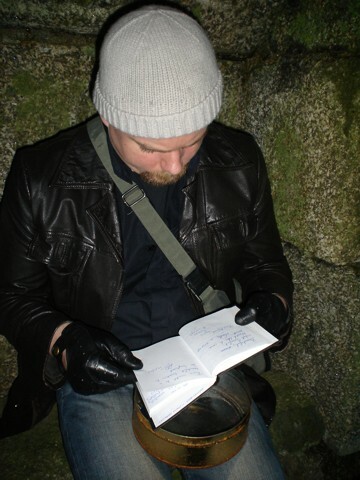 When playing the game, open the biscuit tin, and flick through the visitors book knowing that there is a real version waiting to be found, hidden away in the well of St.Cuby. 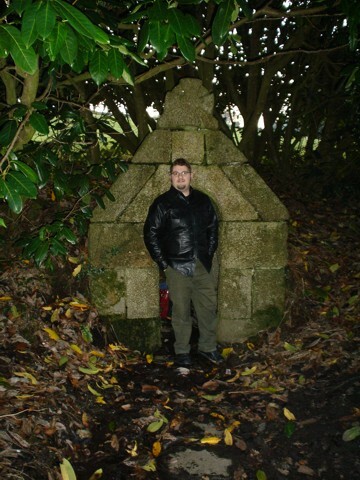 Right: Matt Clark outside St.Cuby's Well. Left: Francis Prestige (one of Barrow Hill's voice actors) prepares to write in the visitors book. 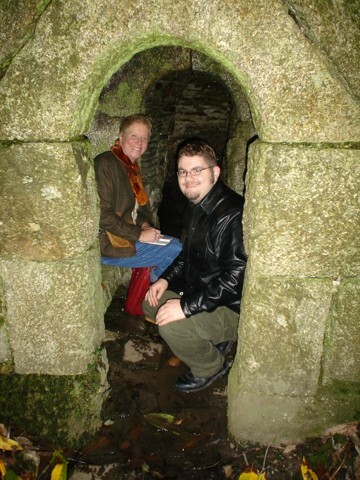 Right: Matt Clark and Francis inside St.Cuby's Well.